An advanced practice registered nurse (APRN) is an individual, who has acquired post graduation degree in the field of nursing. APRNs are equipped with higher knowledge and medical education, skills, and expertise. They work to give new and innovative ways to provide economical and cost-effective care. Generally, they offer health services to the underserved people. These professionals must know to analyze and treat patients with delicate and persistent illnesses and to provide medications accordingly. It is important that the nurse should be smart, agile and savvy along with kind and compassionate. Maintaining health histories of the patients and perform various assessments and physical examinations. Creating remedial plans and implementing them. Understanding lab test results and diagnostic study. Providing counseling sessions and advising the families of the patients. Contributing to the research studies. Nurse practitioners (NPs) are highly knowledgeable registered nurses, who give care and comfort to the patients. They have a varied number of activities and responsibilities to be fulfilled. They carry out broad examinations of the patient along with analyzing and curing sensitive diseases and injuries. Also, they deal with high blood pressure, diabetes, depression and other problems of the patients. They prescribe immunizations and medications considering the health situation. Even the families of the patients get help, advice, and counseling from the NPs. Acquire ADN or BSN degree from an approved institute. Clear the NCLEX-RN (National Council Licensure Examination for Registered Nurses) to acquire the registered nurse licensure. Complete doctoral or master’s degree in nursing. You may do specialization in a particular field of medicine, like family care, gerontology, psychiatric/mental health or pediatrics. For carrying your work as a nurse practitioner, gain Advanced Practice Nursing Licensure. You can also acquire specialization through certification. The areas of specialization include mental health, gerontology, pediatrics, acute care, diabetes management, family care, and school nursing. NPs work autonomously to maintain appropriate health history of the critically ill patients. They instruct and understand diagnostic and curative tests considering the needs of the patients. They advice suitable models of pharmacologic and non-pharmacologic treatments. They even assist staff, patients and families of the patients to make right decisions by providing educational information. They observe the usefulness of interventions or any action. They help other nurses in the arrangements of surgery. They assist the patients in admitting, transferring and discharging processes. A CNS (Clinical Nurse Specialist) is an APRN, who take care of the patients with intricate care needs. They promote excellence by executing the best clinical practices. CNSs concentrate on disease management, health promotion and also encourage wellness programs, providing evidence-based advanced nursing care according to their specialty. The majority of them works in hospitals, but they can also be seen in corporate institutions, community health, and outpatient settings. They also serve as mentors, researchers, teachers, and consultants. You must have a bachelor degree in nursing, which is a 4-year course and covers topics on patient health assessment, anatomy, physiology, pharmacology and pathophysiology basics. It is mandatory to get a state license as a registered nurse. 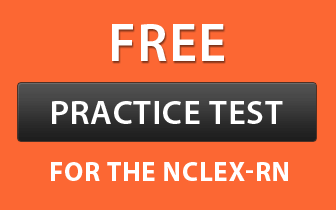 Generally, the states want the candidates to pass the NCLEX-RN. Also, some states have their own licensure requirements. Those nurses, who are already practicing in one state, can normally apply for license by endorsement in another state. Gain experience as an RN in the field, in which you have done specialization. This experience can be acquired through private practices or in hospitals or outpatient settings by working for at least 1-2 years. You have to get CNS master’s degree from an approved college. This coursework offers you advanced theoretical knowledge along with supervised clinical experience. Get certification in oncology, critical care, community health, gerontology, adult health, psychiatric, gerontology or orthopedics from an authorized body. Developing standards of practice and offering expertise in specialty areas. Mentoring and educating other nurses. Interviewing or assessing the medical records of the patients to gather information and improve services. Incorporating knowledge of nursing for diagnosing and treating illness and injuries. Researching and developing quality improvement plans and procedures. Creating evaluation standards for reviewing the quality of programs. Gives unswerving and direct care to the patients. Providing specialist supervision to the staff members for better functioning of the institution. Working together with the team to work in the right direction. Certified Nurse Midwives (CNMs) are highly skilled and educated practice RNs, who primarily provide aid and care to the women. They give counseling and treat with care during childbirth, pre-conception, pregnancy, and the postpartum period. Women throughout their reproductive lives also receive help and advice from CNMs. They also provide regular and scheduled gynecological services and help like everyday health visits, gynecologic, annual exams and pre-/post-menopausal care. You can find them in a number of medical institutions analyzing and treating the patients. If you want to become a CNM, then you have to obtain a Bachelor of Science in Nursing (BSN). Qualify NCLEX-RN to gain registered nurse licensure. Complete master’s degree in nursing. Take a 2-year midwifery program. Pass the certification examination organized by the American Midwifery Certification Board. Providing utmost care to women and analyze, diagnose and treat various illnesses. Constructing reports and wellness plans on the basis of diagnostic tests and taking measures to manage the health of the patients. Providing care to women, especially at the time of delivery, and counseling them from puberty to menopause. Giving advice to the patients and their families along with educating them regarding various aspects of pregnancy and childbirth. Observing medical history of the patient and conduct required examinations and tests. Assisting in delivery of the babies and looking after all the pregnancy-related issues and problems. A CRNA is an advanced practice nurse, who works in association with surgeons, physicians and various other professionals to provide anesthesia for various medical and surgical processes. They look after the needs of the patient before, during and after medical surgery. Also, they perform various tasks, which include assessing the patients, preparation of anesthesia, and handling the recovery of the patient out of it. They work in various medical settings, like critical care hospitals, dentists, podiatrists, ophthalmologists, ambulatory surgical centers, hospital surgical suites and delivery rooms. Acquire a baccalaureate degree in nursing. Gain RN license by passing the licensure examination. You are expected to have at least 1-year working experience in any acute care setting. Complete graduation from an approved nursing school of anesthesia. After completing the graduation, qualify a national certification exam. Constructing the plans as per the diverse medical conditions related to anesthesia. Helping in the arrangement of different medications and anesthesia at the time of a treatment or surgery. Billing, inventory and restocking, and patient record management are certain responsibilities of a CRNA. Maintaining the documents and reports of the patient accurately and precisely. Analyzing and evaluating the condition of the patient and providing knowledge regarding the whole treatment and its process. The diagnostic and therapeutic processes are also handled by these nurses and they also involve in pain management.